Sing free songs with the pocket version WeSing with this karaoke singing app! 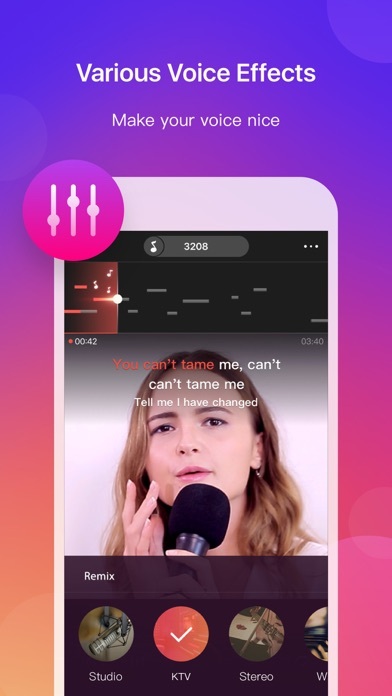 Karaoke sing and record with new songs update every day, Record your performances on every favorite song and make you shine like a star. Let's start the new journey in WeSing, new world, new tuning mode, new Stars, new Live Stream! You'll see how wonderful you are, you’ll see how popular you are! WeSing is kind of new style Karaoke software, it is very different with others before. Make friends, share songs, become pop-star, all is here. The voice effects will surprise you at the same time! Let’s go to new journey. 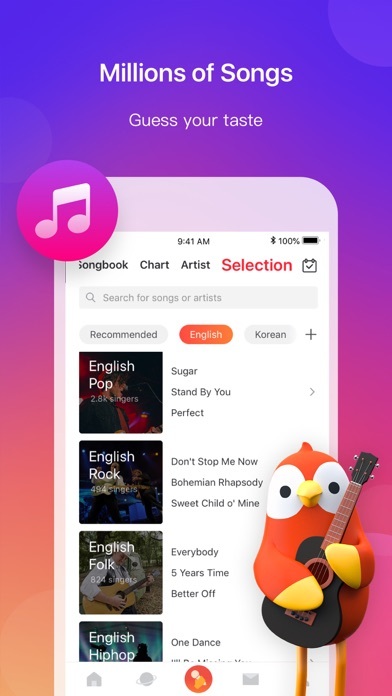 Let's sing your songs in WeSing! I just WeSing! With Karaoke Online, You Can: SING, RECORD, SHARE – KARAOKE STYLE! 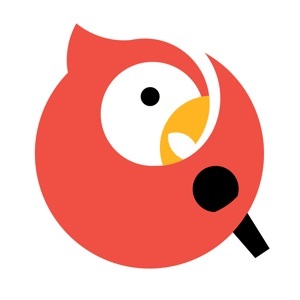 - Sing new songs, sing favorite songs anytime. - Sing karaoke online with video. 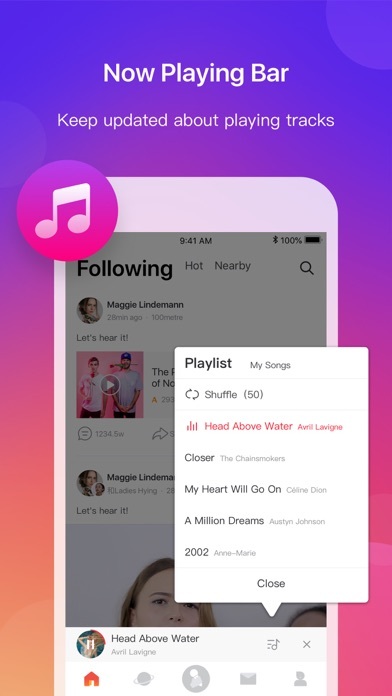 - Intelligent search function to help you find all of your favorite songs. 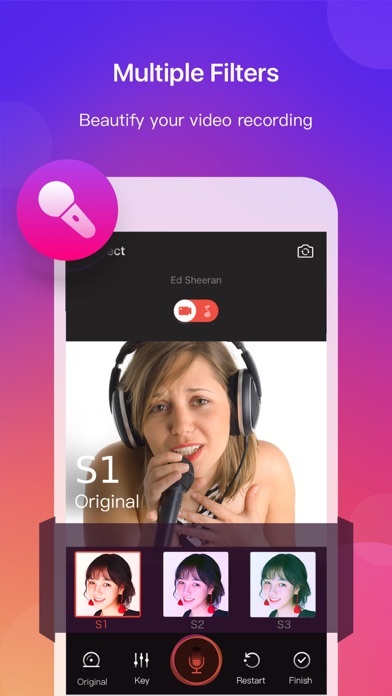 - Record while singing karaoke with high quality, record your song as a music video! - Add effects to your recordings like echo, reverb... - Have fun with your friends by Online Scoring and online recording sharing. 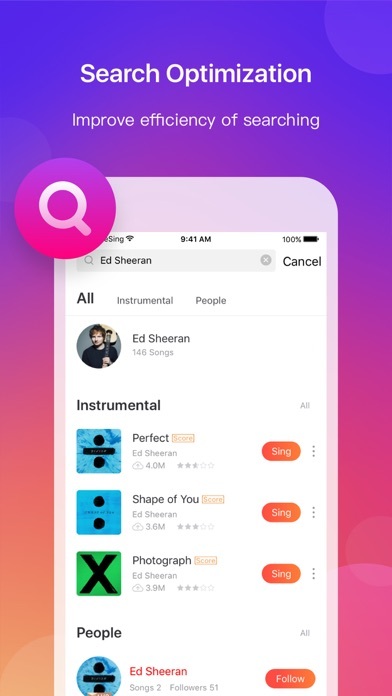 Main Features of WeSing - Sing Karaoke & Karaoke Record & Sing Songs: * Sing Karaoke & Sing Songs - Sing along to new and classic songs with music and lyrics. Browse through an endless catalogue of music videos from a variety of genres and themes to find songs sung by your favorite artists. - The hot songs are updated fast. 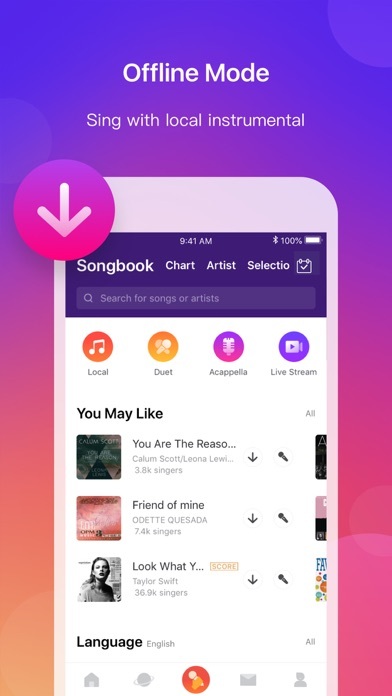 You can search for songs easily, and sing or record scoring songs at a high load speed. * Karaoke Record & Edit Songs - Record and edit your karaoke songs with a large selection of special effects! - Use pitch correction and reverb to get real-time feedback on your singing! - Apply video filters to make your recording more professional! * Duet with the Artist - Duet with your friends and favorite artists. 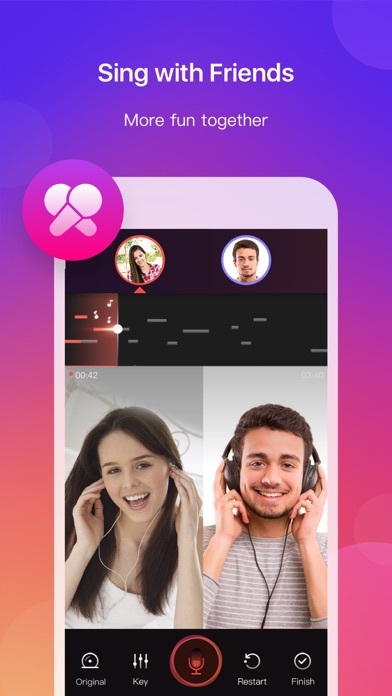 WeSing supports duets with celebrities! You can duet with celebrities or your friends “ together” regardless of distance! 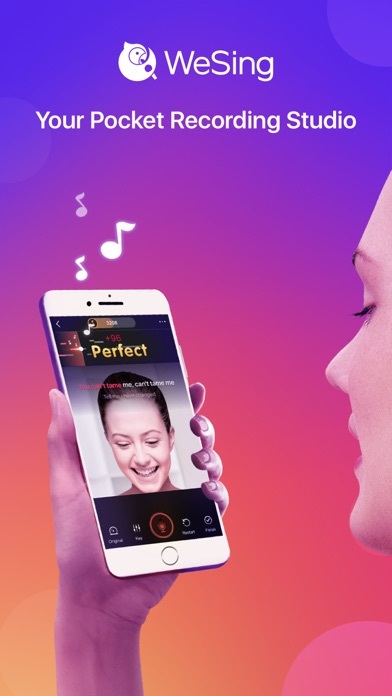 * Replay - This is a great function, you can replay, the Cutting-edge voice enhancement technology captures your voice with the best quality sound while you sing your favorite karoke songs! * Gifts & Album - Can’t help to supporting wonderful songs? Send the singer gifts! You can also see who have sent you gifts. Catch the chances to meet them! - Make albums for your own songs. In WeSing, everyone can be a star! * Share & Find Friend - Share your performance with the world on Facebook, Twitter, Whatsapp etc... and connect with friends to listen to their songs and rate their recordings, chat with other singers! - Make new friends through the power of music! Follow other amazing and talented artists! Hear the voice of different covers! FOLLOW US and keep up with new major artists and featured singers on Sing! Facebook: http://www.facebook.com/wesingapp/ Twitter: http://www.twitter.com/WesingApp/ Thank you for using Wesing. Any questions please contact email: [email protected] Welcome to the FREE KARAOKE application which can record your performances on every favorite song and make you shine like a star! New karaoke tracks release on a daily basis: you’ll never run out of songs to sing! Just choose the song you want to sing and your voice will be mixed with the song just like you are recording in a professional studio.